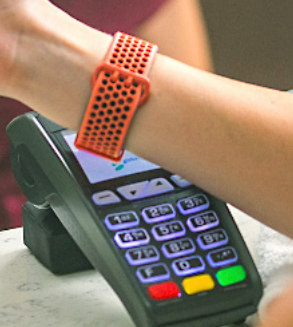 Commonwealth Bank of Australia to Support Fitbit Pay in Addition to Garmin Pay and Android Pay; Continues to Shun Apple Pay | NFC Times – Near Field Communication and all contactless technology. Commonwealth Bank, Australia's largest by assets, is planning to support Fitbit Pay, in addition to Garmin Pay, the bank has told NFC Times. NFC TIMES Exclusive – Commonwealth Bank of Australia will support mobile payments with Fitbit Pay and the wearables maker’s forthcoming Ionic smartwatch, NFC Times has learned. That’s in addition to support for Garmin Pay and Android Pay, which the bank announced earlier this week; but the bank appears set to continue snubbing Apple Pay. Commonwealth Bank, Australia’s largest bank by assets last year, which had only been supporting mobile payments from its own mobile-banking app, announced this week that it would support Android Pay by the end of the year and Garmin Pay once Garmin’s new smartwatch, the vívoactive 3, launches, in early October. “We are also supporting Fitbit Pay, although we were not in a position to include them in the media announcement earlier this week,” a bank representative told NFC Times. Article has about 960 words.